The writing is sharp right through albeit being not so whistle worthy. It packs quite a few smart one liners delving into the nature of truth, identity, pain etc. The action sequences are very Hollywood inspired but fall well short of being breathtaking and end up looking cheesy. So the bottom line is simple. The Tollywood format of six songs, five fights and loads of entertainment and melodrama makes it impossible to respectably adapt racy Hollywood styled suspense thrillers. Note: The movie isn’t as slick or racy as the trailers suggest, so lowered expectations will help. Expectations from Sukumar are very high. In fact, writing is Sukumar’s forte. Somehow he fails to deliver in this film. The story is run of the mill. There are not many characters involved since the story revolves around Mahesh. Also, the film is too long and the entertainment aspect is absent. There are times when the audience’s patience is tested.To say it in a line, the film falls short of expectations and disappoints film goers, especially the fans of Mahesh Babu. This isn’t your regular paisa vasool, masala cinema and may not be everyone’s cup of tea. If you’re willing to invest some patience and soak in the mood of a film that attempts to appeal to an audience that’s used to watching global cinema, 1 will not disappoint. In this visually stunning film, Mahesh Babu delivers his career-best performance. 1 Nenokkadine is not an universal film like Dookudu. It belongs to psychological thriller genre. It’s also a multi-layered movie. On the flip side, the sluggish narration and excessive runtime hampers the tempo. 1 Nenokkadine is not a commercial potboiler. Film lovers who have exposure to Hollywood films and world cinema will appreciate this movie. 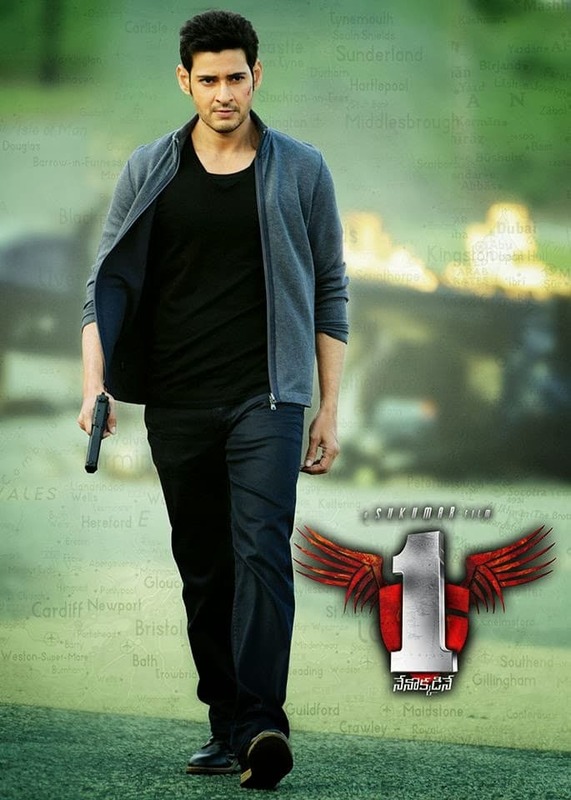 1 Nenokkadine is a film that makes Mahesh, Sukumar, producers and entire unit proud. We need to wait and see how a common movie lover who is used to formulaic films lap it up. The film has all the ingredients you’d expect in a thriller, but without the hard-hitting thrills it fails to make audience sit through the end. Cinematography, Be that as it may, director Sukumar and his team must be appreciated for having ventured to make a rather different kind of a movie with a very striking end. For fans of the Bourne-Bond type of thrillers, 1 Nenokkadine may seem a disappointment, except perhaps for the Interval, which has been worked out rather well. For the rest of the audience its one time watch for Mahesh Babu’s performance. For all the hype surrounding the movie, ’1 – Nenokkadine’ ends up as a disappointment. Except for Mahesh Babu’s outstanding performance in the film, there is nothing in the film to entice or entertain movie lovers. The needlessly complex plot and excessive run time make things worse. Because of Mahesh Babu’s stardom and the Sankranthi season, the film may pull in good revenues in week 1. The film 1: Nenokkadine is all about a young guy, who is desperate to know his identity. Having lost his memory in an accident, he goes in search of his true self. Overall, 1: Nenokkadine is a wonderful psychological thriller, which will appeal to all classes of audience. The movie has Mahesh Babu’s excellent performance, Sukumar brilliant direction, amazing technical stuff. It is a paisa vasool entertainer that will remain as a classic and landmark film in the career of Mahesh Babu and Sukumar. Don’t miss this weekend.